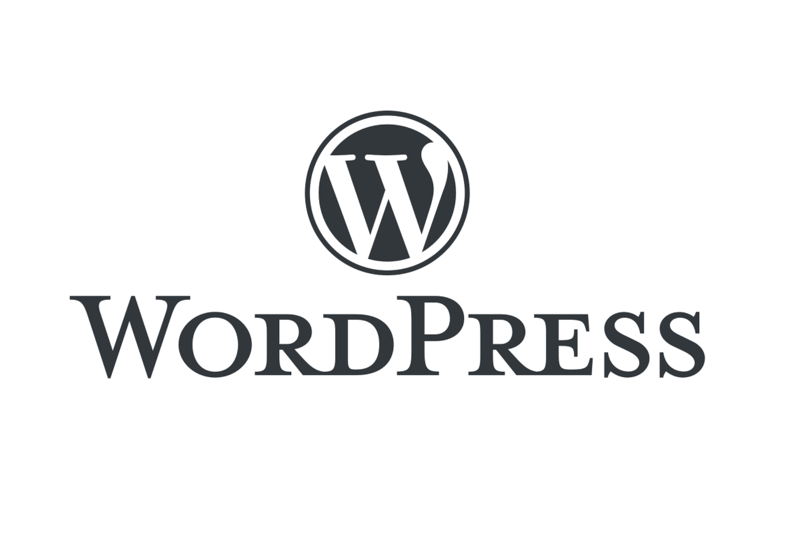 Your WordPress blog can be hosted on two platforms: on a web server, which is the most popular option among bloggers, or on a computer running the WordPress software package. If you’re planning to install WordPress locally on your Windows 10 computer, you’re in the right place. 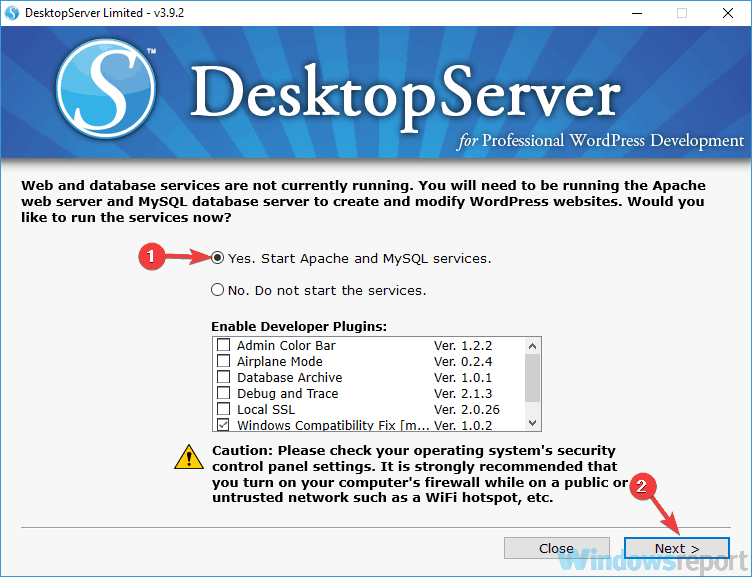 This article is a step-by-step guide to configure your computer to act as its own web server for hosting WordPress. 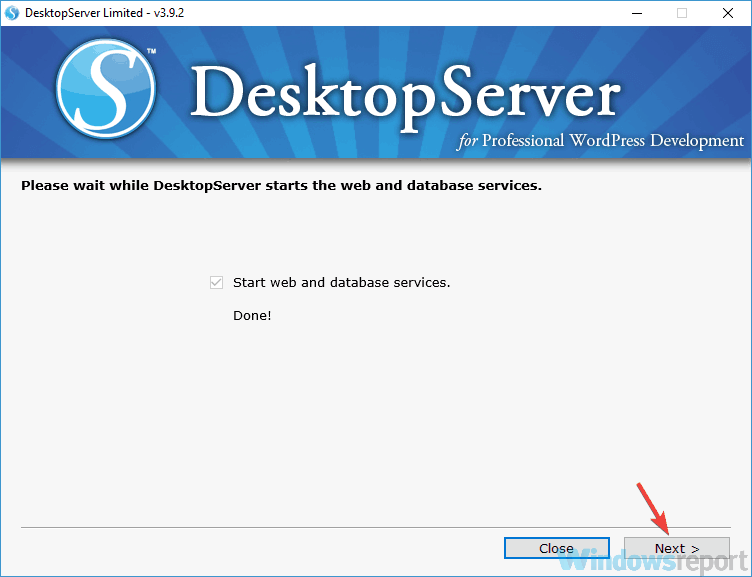 The only visible difference when you host your WordPress blog on your Windows computer is the address: you’ll use http://localhost[…] instead of the regular web address. As far as the user experience is concerned, by hosting WordPress on your computer you can work offline, test changes more quickly, and polish them before you roll them out to the live website. 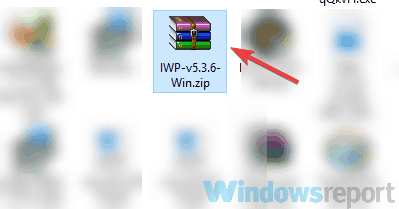 If you want to create a WordPress website on your PC, you can do so easily using the InstantWP software. According to the creators, this is a portable and standalone WordPress developer environment, so it’s perfect if you want to familiarize yourself with WordPress or if you’re a WordPress developer. Once you download the archive, double-click it to run it. After you open the archive, extract it to the desired location. Go to the extract location and run the Start-InstantWP.bat file. 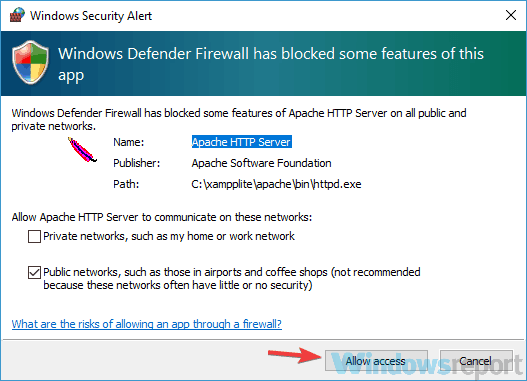 If you get a Firewall prompt, click on Allow access button. A guide will appear on the screen. Keep clicking the Next button until you reach the end. After doing that, WordPress will be installed and ready to run on your PC. Go to the extraction directory and double-click the Start-InstantWP.bat file. Several Command Prompt windows should now appear. This is perfectly normal, so there’s no reason to worry. Wait while the server starts. This can take about 60 seconds, so be patient. Now click the WordPress Admin button. This will open a new tab in your browser and allow you to log in to the WordPress website on your PC. Bear in mind that sometimes you might not be able to access your WordPress page on your PC. This is because the server is still starting in the background, so you’ll need to wait for a few more minutes while the server completely starts. 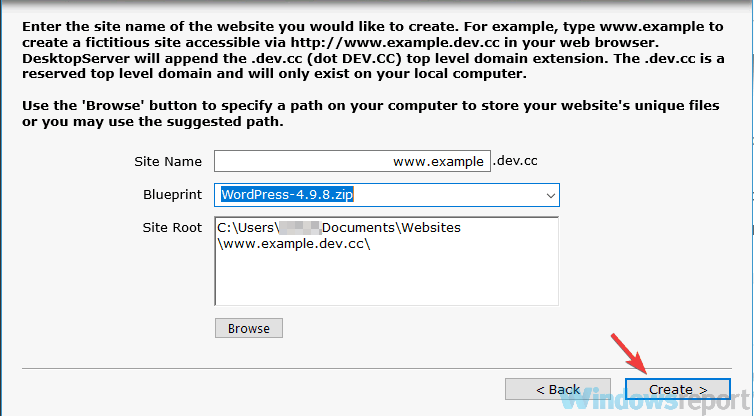 As you can see, this is a simple and fast method to run WordPress on your PC. It’s worth mentioning that this tool is fully portable, so you can just transfer it and run it on any other PC. 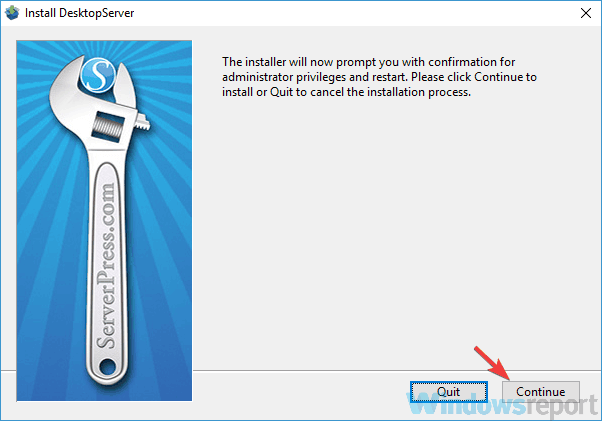 Download and install the free version of SeverPress. You’ll have to add the Free version to the cart and enter your email so you can get the download link. After you get the download link, click it and use it to download the tool. Once the download is finished, locate the download archive, open it and extract it to the desired location. 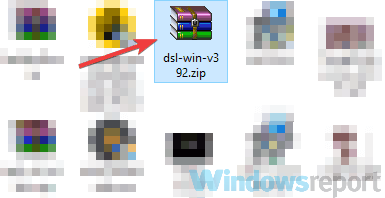 Once you extract the archive, go to the extract location and run the Install DSL v392 file. When the new window appears, click on Continue. This will restart the installation and start it with administrative privileges. Click the Next button and follow the instructions on the screen. Go to the C:\xampplite directory and run exe file as administrator. To do that, right-click the .exe file and choose Run as administrator from the menu. Select Start apache and MySQL services and click Next. 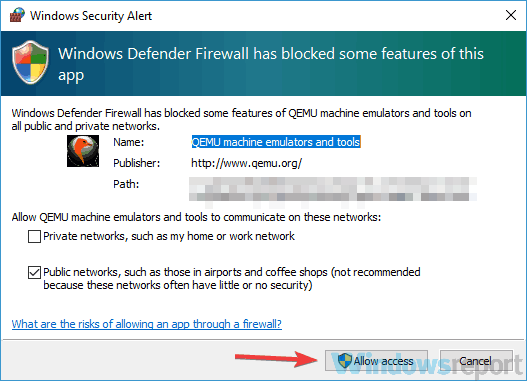 If you get a firewall prompt, be sure to click on Allow access. Select Create a new development website and click Next. Now set the desired name and site root. We suggest that you keep them as they are. 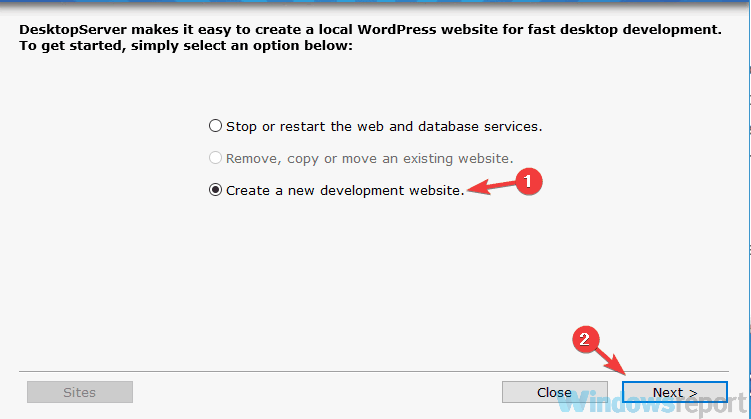 As for the Blueprint, be sure that WordPress is selected. Click Create to continue. Be sure to memorize the URL because you’ll need it for future steps. Wait while the wizard creates the necessary files and folders. This might take about a minute or two, so be patient. After the process is finished, just go to the URL from Step 6, by default it should be http://www.example.dev.cc. Now you just need to enter the required information and your local WordPress page should be set up. After doing that, you can access your page and modify it any way you want. There you go, these are the two methods you can use to set up a WordPress page on your local computer. Both methods are similar, although the first one might be more straightforward for first-time users. We answer: What is Network and Sharing Center in Windows 10 and how to use it?